Y'all remember our fabulous friend Liz, right? She went went to school. In Italy. To study shoes. I mean, how amazing is that? That's M. Louboutin. With our friend Liz. Um, it gets better. She's met Christian Louboutin. And she's married to a dreamy doctor. The best part? She's completely sweet and cool. So cool, in fact, that back in December she offered to custom-design one of her signature handbags for one lucky HerKentucky reader. She and the winner, Brandi, exchanged emails, worked together on the design, and came up with this darling design. 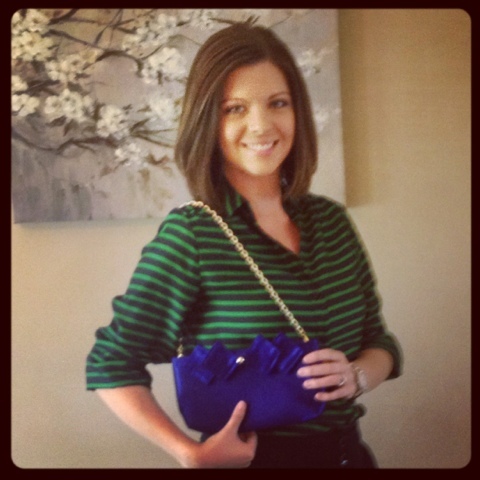 Western KY-based attorney, HerKentucky reader, and aspiring purse model Brandi. "Liz was so wonderful to work with. I have NO EXPERIENCE in design and was excited I won such a neat giveaway but was apprehensive about what I possibly could contribute. Liz took the lead and sent me samples and gave me options and ideas. She was very supportive and her fabrics were so beautiful. When I received the bag I was blown away. I was really impressed with her skill and care at the creation of my bag! It represents my style (classic with a touch of flare). It will definitely become a staple in closet. Thank you for such a wonderful experience Liz, I truly will remember it fondly….and I have the bag to prove it!" Liz has lots up her sleeve these days. She and Dr Hotpants are leaving Brooklyn to embark on a Midwestern adventure (not. even. kidding. They had a Green Acres-themed cocktail party.) She has started a fabulous new blog, The Fanciest Chicken, where she talks food, fashion, and fabulousity. I am seriously so amazed by this, y'all. 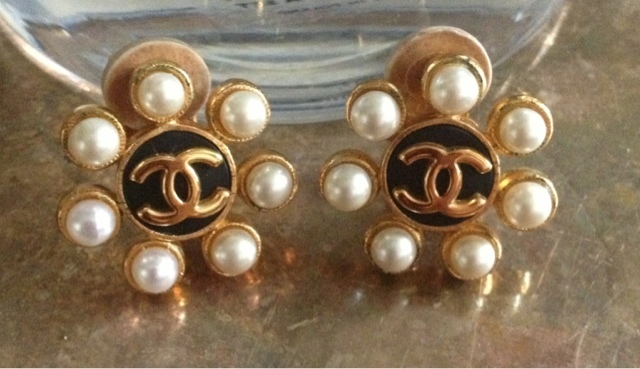 She found vintage Chanel earrings. On eBay. And shares her shopping secrets on her blog. Oh, and one more big announcement: Liz is joining the HerKentucky team as a style corespondent! How fabulous is that? Please join us in welcoming Liz to HerKentucky, and go check out The Fanciest Chicken today! 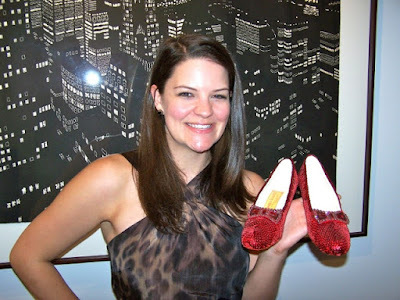 In "HerKentucky", "blog reviews", "elizabeth elfen", "fashion", "giveways", "shoes", "the fanciest chicken"
Elizabeth Elfen Designs brings a little Kentucky charm to the Big Apple. Transylvania alumna Elizabeth Elfen Johnston's eponymous handbag line is as glamorous and charming as its namesake. Elizabeth currently resides in Brooklyn, NY with her well-dressed foot and ankle surgeon husband, whom she's nicknamed Dr. Hotpants! worked with my favorite fashion houses HOLLYWOULD, Lorelei NYC and Amanda Pearl. approachable glamour to one’s everyday life and night! How did your company come about? all with the quick adjustment of your strap. With an actual pair of Dorothy's Ruby Slippers! Maker’s Mark Manhattan straight up and extra frosty! Favorite things to do in NY? Turning non-Kentuckians on to the culinary masterpiece that is the Kentucky Hot Brown. Bobby Flay’s Bar Americain has a great one. Fit is everything for everyone. When my husband and I started dating, he was wearing things that weren’t right for him, i.e., unfitted jeans, cargo shorts, ill-fitting hooded sweatshirts…. I could go on and on. I knew that he was a keeper, so I put in the time to outfit him in things that fit him properly. We put him in some better fitting jeans and got him some shorts that showcased his rocking calves and now he receives compliment after compliment! Elizabeth has graciously offered one HerKentucky reader a custom handbag! Working from her classic 10" by 5" and 1.25" shape, she'll collaborate with you to design the perfect bag for you. It'll even be named for you! Just enter the Rafflecopter drawing before midnight on Christmas Eve! In "christmas", "elizabeth elfen", "giveaways", "guest posts", "handbags", "herkentucky business", "holidays", "interviews"